Local youth from around Leduc County proudly received awards for their hard work in creating poems, essays and posters for the Leduc Legion's Remembrance Day Literary and Poster contest. 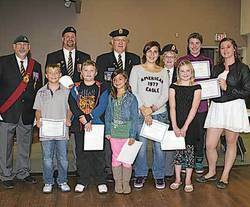 Recently some young people from the region received recognition for the efforts they put in for the Leduc Legion's Remembrance Day 2012 Literary and Poster Contest. The Canadian Legion has been running this contest for over 50 years with over 100,000 entries received last year in four different categories. The contest is open to any student from Kindergarten through grade 12 and they can enter a poem, essay, colour, or black and white poster. 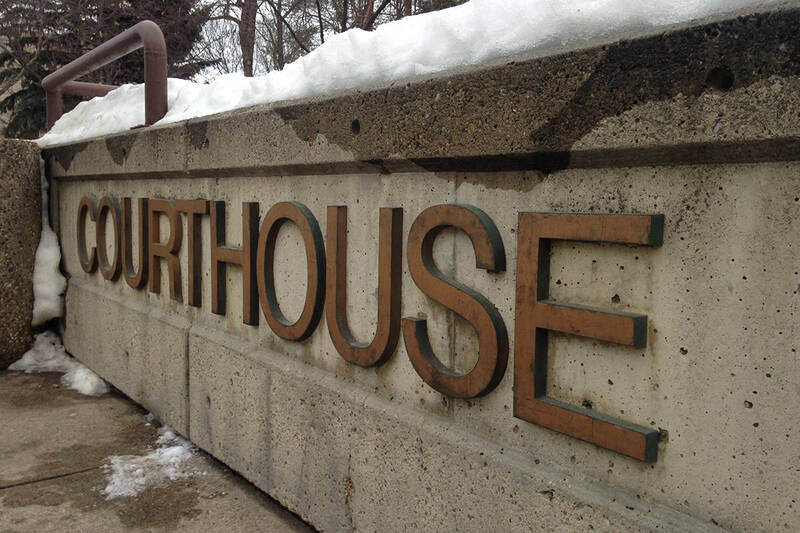 The ages for judging are broken down into four divisions, Primary is kindergarten through grade 3, Junior is Grades 4, 5 & 6, Intermediate is grades 7,8 & 9, and Senior is grades 10, 11 & 12. Submissions are judged at the local, regional, provincial and, finally, national level. There were a number of local winners from Leduc and area who each received award certificates and gift cards from Staples for their marvellous works. Twelve youth between the ages of seven and sixteen were simply notified to be at the Leduc Legion at a certain date and time, and that it had something to do with the literary and poster contest they had entered but none of the kids knew what they had won until it was announced that evening. Junior Black & White Poster: First – Erik Gullickson from St. Benedict School, Second – Makenna Romanic from St. Benedict School. Intermediate Black & White Poster: First – Jaylene Langford from New Sarepta School, Second – Travis Erickson from New Sarepta School. Junior Colour Poster: First – Lauren Formanski from St. Benedict School, Second – Anthony Pulikapparambil from St. Benedict School. Intermediate Colour Poster: First – Ashley Souter from New Sarepta School. Junior Poem: First – Bethany Smith from East Elementary School, Second – Hannah Evers from Lindsford Park School. Intermediate Poem: First – Georgiana Antochi-Crihan, Second – Corlynn McAullay from New Sarepta School. Junior Essay: First – Hannah Evers from Lindsford Park School, Second – Hunter Clark from Lindsford Park School. Unfortunately four of the winners were not able to be at the Legion to receive their awards that night but they would have them presented at a later date. The first place winners in each category saw their efforts move on to the Regional level of competition but in spite of their exemplary efforts none of the youth from our region made it to the National level of competition. The ultimate purpose of this contest is to connect today’s youth to the reality of the past and it seems that it has been very successful judging from a quote in Legion Magazine that stated, “A recurring theme in many of this year’s winning submissions was the ongoing effort made by Canadian youth to connect their own personal experience of life and reality to the experience of life during war. It is an effort to empathize and the artists’ attempt to place themselves inside the experience of those who fight." The senior winners at the National level in 2012 were Sienna Cho of Surrey, B.C., Owen Brown of Guelph, On., Amelia Haines of Peel, N.B., and Allison Somers of Carbonear, Nfld. and they receive a trip to the Canadian War Museum in Ottawa to attend the Remembrance Day Ceremonies in 2013 to represent all Canadian youth and to have their works of art displayed there. For all students who would like to take part in the 2013 contest, information and entry forms are distributed to schools right after Remembrance Day and must be submitted through your teacher.